Mad About Meghan: Meghan Spotted Leaving the Gym, Two Calendar Updates & Latest Wedding News! Meghan Spotted Leaving the Gym, Two Calendar Updates & Latest Wedding News! Hello-Hello! Ahead of a busy week for Meghan, we're back with several updates and two calendar additions for the next week. Meghan Photographed Leaving the Gym... Marie Claire published a photo of Meghan leaving the gym. It is thought it was taken before she went to Chicago last Thursday. The article writes: While it's unclear what kind of workout class Markle attended, or if she has a personal trainer, or if she just listened to podcasts on the treadmill, she's been known to love yoga because of her mom, Doria Radlan. "My mom was a yoga instructor so that practice is in my blood. I love an intense vinyasa class—and even better if it's blasting hip-hop and done in a dark room with candlelight," Markle has said before in an interview. Meghan wore her black Artizia Pacific hoodie. 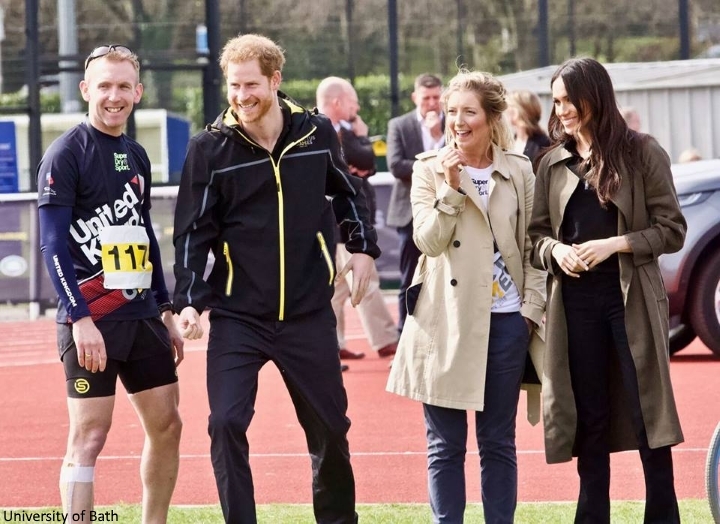 An Invictus Reception on Saturday... On Saturday, Prince Harry and Meghan Markle will attend a reception hosted by The Hon Malcolm Turnbull, Prime Minister of Australia, and Ms. Lucy Turnbull, celebrating the forthcoming Invictus Games Sydney 2018. At the reception, held at the Australian High Commission, Prince Harry and Ms. Markle will hear more about how plans are progressing for this year's Games in Sydney. They will also meet a number of UK and Australian servicemen and women, some of whom have experience of competing in the Invictus Games. PM Turnbull is in London this week for the Commonwealth Heads of Government Meeting. The reception which celebrates the inspirational sporting event with links across the Commonwealth seems very fitting indeed. 25th Memorial Service for Stephen Lawrence... On Monday, 23 April, Prince Harry and Meghan will attend a memorial service to commemorate the 25th anniversary of the murder of Stephen Lawrence and to celebrate his life and legacy. 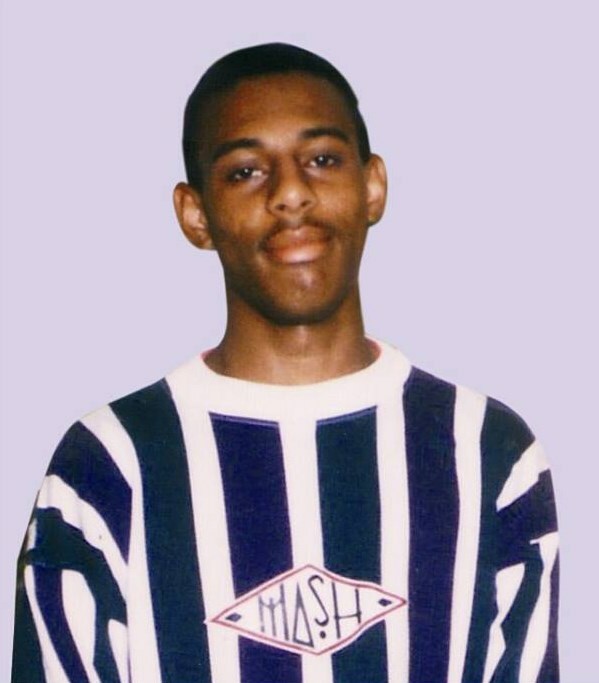 In 1993, Stephen Lawrence was murdered in an unprovoked racist attack. He didn't know his killers and his killers didn't know him. In his memory and to inspire and help young people just like him, his family set up the Stephen Lawrence Charitable Trust. Since 2000, the Trust has helped many young people realise their ambitions by supporting them with bursaries and mentoring support. During the service, Prince Harry will read a message of support on behalf of Prince Charles. Alexi Lubomirski to Take Wedding Portraits... The man responsible for Meghan and Harry's romantic engagement portraits, impressed the couple so much, they have asked him to take their official wedding portraits. The photographer revealed last week he and his wife are invited to the wedding, but kept tight lipped about his role in the day. Following the announcement he shared his delight: "I could not be more thrilled or honoured to photograph this historic occasion. 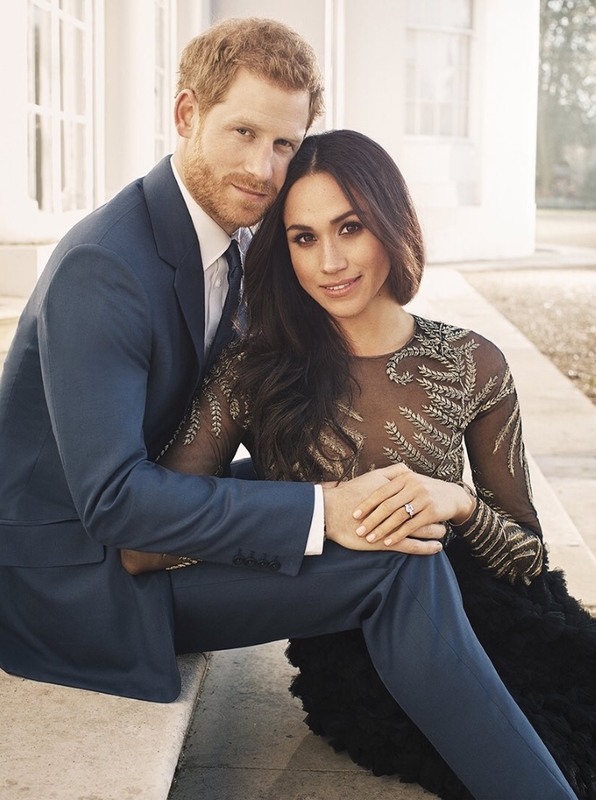 Having taken Prince Harry and Ms Markle's engagement photos, it brings me such joy to be able to witness again, the next chapter in this wonderful love story." I think he is going to do an amazing job! 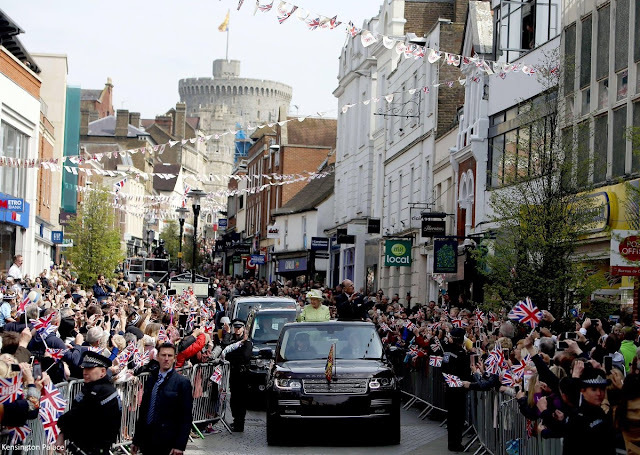 Windsor Prepares for the Royal Wedding... With just weeks to go until the big day, Windsor is making preparations to welcome well-wishers from all over the globe. Visitors will have a chance to view the wedding procession leave from Windsor Castle, through the town centre and along the Long Walk, where screens will show live footage as the event unfolds. Work is well underway to ensure the occasion is a memorable and joyous one for all involved and the council is working closely with a wide range of partners. Rail operators will be putting on extra trains and there will be park and walk and park and glide services to help people get into town. Visitors are encouraged to plan ahead and book all travel arrangements early so they can make the most of their trip. • A 6,000 space pre-booked car parking area will be at the Review Ground, just off the Long Walk. • Food stalls and facilities, including big screens showing live footage of the wedding and procession, will be available on the Long Walk and in Alexandra Gardens. • Viewing areas along the whole procession route (Castle Hill, High Street, Sheet Street, Kings Road, Albert Road and the Long Walk) will be open to visitors. • A team of 140 Royal Borough Ambassadors have volunteered to help steward the event and assist visitors throughout the day. • The town centre will be decorated with bunting and ceremonial banners will be hung along parts of the procession route. • Live entertainment from local groups will be put on throughout the town centre. I will be in London from April 29-May 9th. I'm so hoping Meghan will have an event while I'm there so I can see her! So close to the wedding now! I have a question out there for all of us Meghan fans. In all likelihood, Her Maj will confer a Dukedom to Harry on his wedding day. Since Meghan is still in the process of obtaining her citizenship (and I've read that it could take some years..), can she still be an HRH Duchess of Blank? I am thinking of the Duchess of Windsor as the only precedent for this. She was denied HRH much to the chagrin and fury of her husband, but I don't know if she ever was a British citizen or not. Her ex, Ernest Simpson, was British and I assume she got her residency status through him. Since the Windsors lived abroad in Paris, the Bahamas and general jet-setting around the world and never lived as a couple in Britain after their marriage, her residency status and citizenship was sort of a moot point. Those of you that have an insight to this, please enlighten me. Lovely post as always, Charlotte. Meghan is a very busy bride-to-be and is earning her stripes rather quickly, I think!!! Windsor is a lovely town, wish I could be there!!! yes, she will be an HRH Duchess of Blank. she gets all her styles from Harry as his wife, regardless of her citizenship. the only thing important is their marriage certificate. Wallis was denied HRH by the king's command, not because she wasn't British. all these events it says more beautiful outfits, buns and pda lol. I am interested in all these appointments and I hate that you tell us about Charlotte. I would like to be in England for this wedding! I have a crush on this photographer not only he is charming ♥ but in addition he is talented, I can not wait to see the pictures of the wedding. 🌸 Another excellent page, Charlotte. Thanks for all the info. Yes, me too! Very excited for the possibility of a dressier occasion! The start of a very busy week! Not only for H & M but for you as well Charlotte. Thank for always for the informative post. I was wondering who Stephen Lawrence was when I saw a tweet about it and hadn’t gotten a chance to look him up. How sad and tragic :( it’s lovely to see Prince Harry’s support, I assume there’s some history there as it wouldn’t be random that he’s going to speak at the anniversary service. My coworkers think I’m crazy to request a day off for a royal wedding. To me, there’s no question. The protocol, the traditions, the fashions, and of course the beginning of their new life together - a life that promises to being positive change to their causes and as such to the world. Who couldn’t be excited? I watched Charles and Diana marry. Then William and Kate. And now Harry and Meghan. It is thrilling to see their sons grown up and in love. Prince Charles is close to Stephen Lawrence’s family, he’s visited and attended events with them. Harry is going as his father’s representative, I believe. Charles probably has engagements with the CHOGM and William is on standby for the baby, so only attends things he can cancel without issues. She certainly has a busy week coming up, and I, for one, am looking forward to how she handles the CHOG events. What a baptism by fire! I'm also excited to see her sartorial selections this coming week, as she steps into a very large role for the BRF. It's just hitting me how big of a time this is --- with the CHOG, H&M's wedding, and royal baby #3. It was just dawning on me that we've seen her "walkabout royal engagement looks", Her Official "Formal Royal Event with The Queen look", but as yet we haven't seen her "Royal Representing The Queen Business look"? We saw a "Royal Business look" at The Forum, but that was just with regards to the 4some & their forum! This will be the kick off of her look for "Business Occasions Representing The Queen for The Commonwealth!" Oh I wonder wonder wonder...... Can't wait to see what she chooses??? I expect we’ll see a lot of black and navy pant suits for daytime. For evening I expect the LBD will be deployed at least once. You're right, Becca USA! And we'll get so many look, too, since there are back-to-back engagements. Exciting!! Anon, I would expect you'd be correct. I just saw the photos from the first event today and it looks like you weren't too far off in your predictions, although the chic dress is a nice surprise. Interested in seeing her outfits this week and next week. What a busy week ahead--so excited! 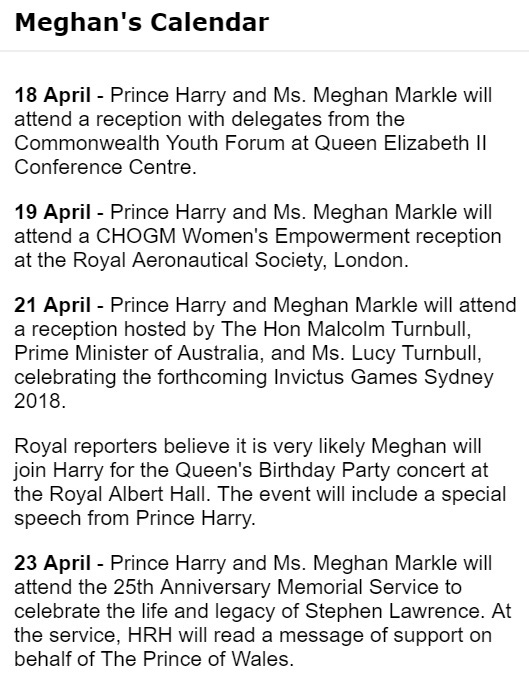 So many wonderful events--I think she'll choose day dresses similar to the Commonwealth Service for the receptions and luncheon; something somber and respectful for the memorial service; and a cocktail dress (!) for the Queen's Birthday Concert. Lots to look forward to! Charlotte, this is pertinent, timely info and thanks for the reminders re the forums. I’ll be tuning in tomorrow. Fantastic post! Thoughts and prayers for the family and friends of Stephen Lawrence. I’m glad Prince Harry and Ms Markle will be attending the memorial. Charlotte, I was not knowledgeable at all about this incident. Thank you for sharing. Hello Charlotte! Thank you for your continued detailed posts! So excited for everything going on in these next couple of months. How will we be able to watch the wedding here in the southwest US? Thanks! Claudia, we in the USA will have to get up very early ! The wedding will be broadcast live from London. Thank you Susan! Do you know if online, what site to go to?